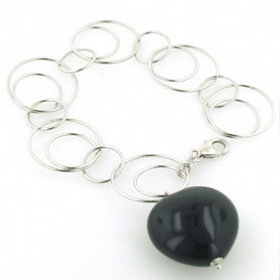 This superb black onyx necklace is set in sterling silver and finished with a silver belcher chain. 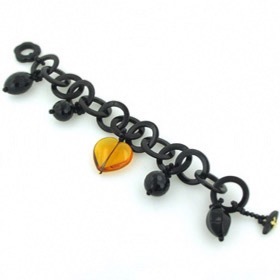 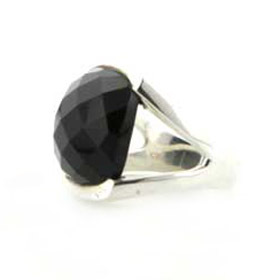 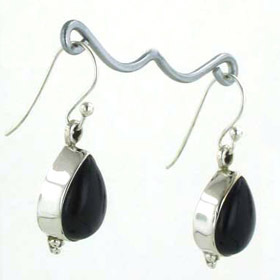 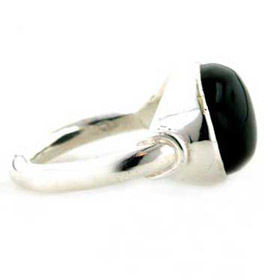 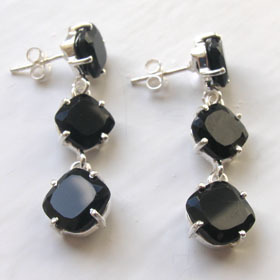 The quality of these black onyx gemstones is excellent. 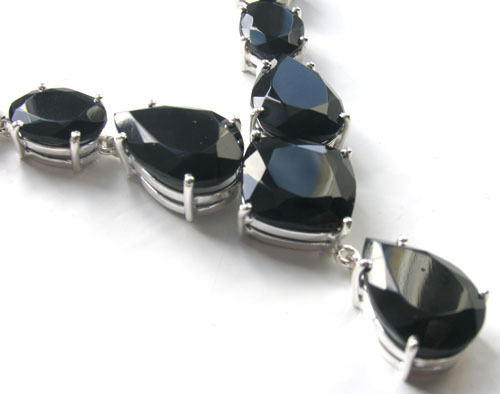 They are flawless and have fabulous glitter enhanced by the facets on the stones' surface. The gemstones in this necklace are diamond cut. 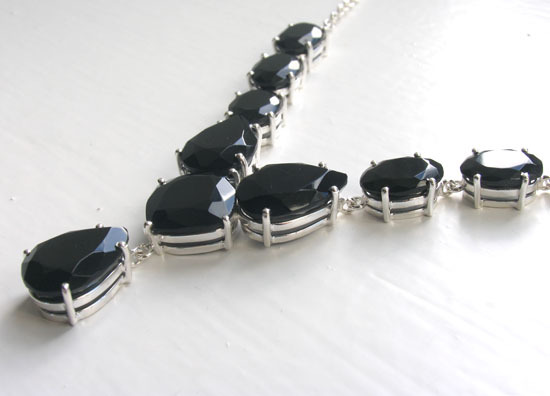 All the gems are claw set into an individual setting and each oval is joined to the next with a link. 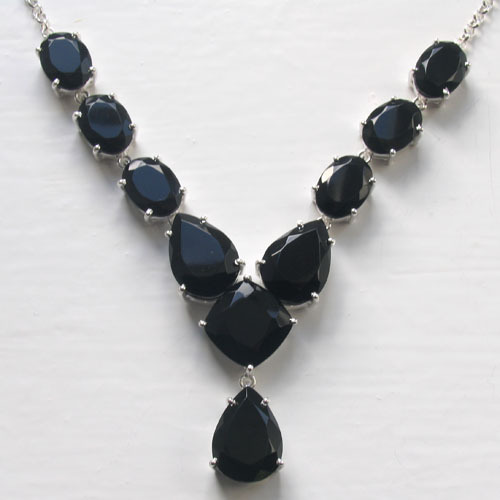 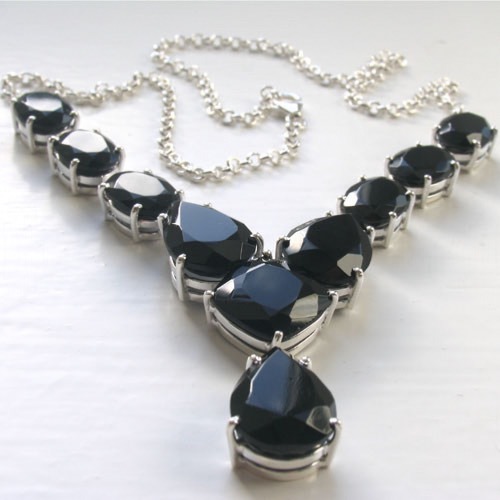 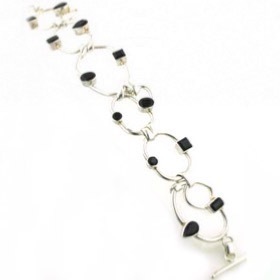 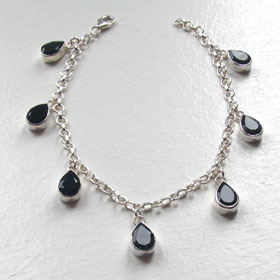 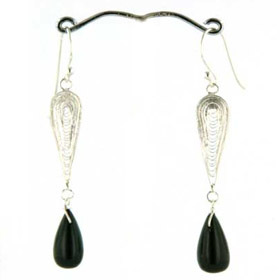 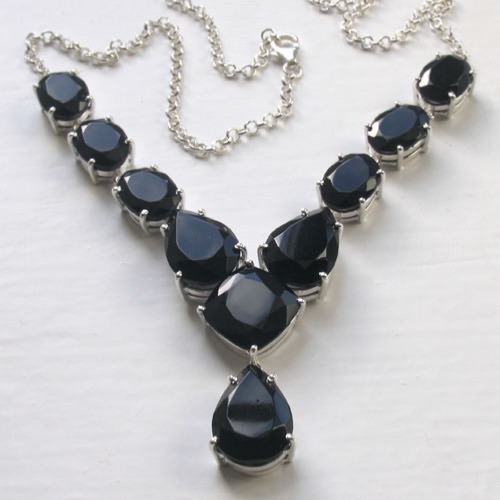 These are large black onyx gemstones and they create a necklace with glamour and drama.